Jerry the Bear. Image from Sproutel. Providence-based startup Sproutel makes interactive toys for children with chronic illnesses, starting with diabetes, asthma and obesity. 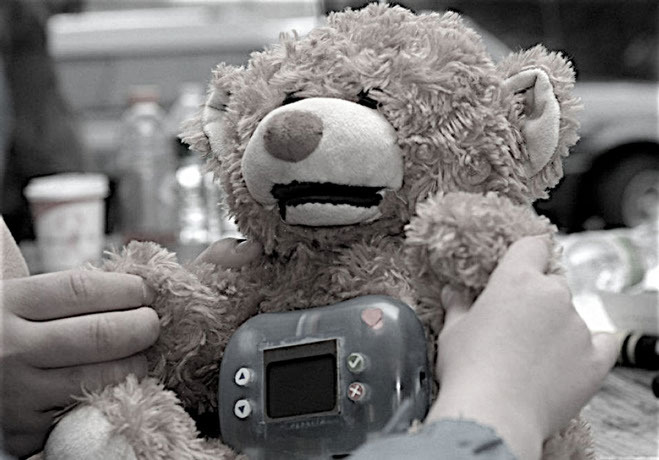 Their first product – Jerry the Bear – takes a high-tech, but playful approach to teaching kids how to properly manage their health. At the July Geek Dinner this Wednesday, Co-Founders and new minted graduates of Northwestern University, CEO Aaron Horowitz and CCO Hannah Chung (recently named one of Inc. Magazine’s “15 Women to Watch in Tech”) will tell the story of Sproutel, introduce you to Jerry the Bear, and share their big plans for helping millions of kids take care of themselves.